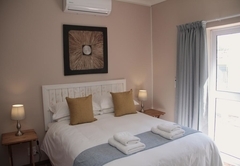 The Vine is one of the Klawer guest houses and provides accommodation in 2 guest rooms for tourists visiting the Olifants River Valley region. 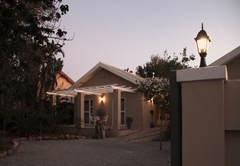 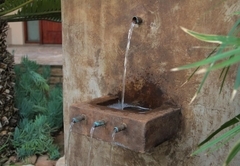 The Vine is a charming place offering accommodation in Klawer, a quaint town nestled near the Olifants River. 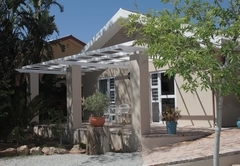 The town is within easy reach of the N7 en-route to coastal towns along the Cape West Coast. 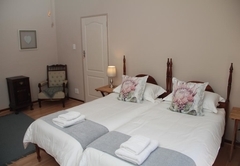 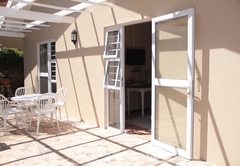 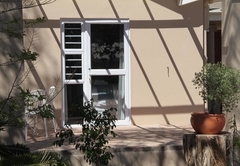 The Vine guest house offers a choice of two bedrooms, each with a private entrance from the garden. 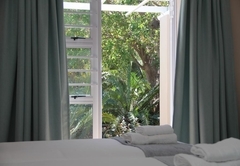 Both rooms have lovely views of the garden. 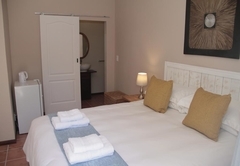 The bedroom is furnished with a Queen-size bed and has an en-suite bathroom with a shower. 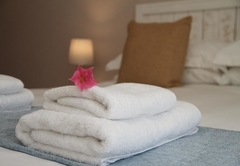 Quality linen and towels are provided and other facilities include a TV, tea and coffee making facilities and a bar fridge. 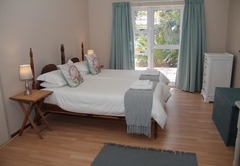 This unit is furnished with twin beds which can be converted into a King-size bed. 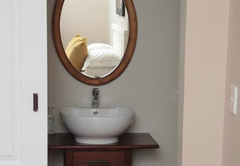 The en-suite bathroom is fitted with a shower and the beds are dressed with quality linen. 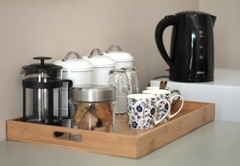 A continental breakfast can be arranged on request. 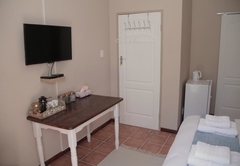 Visitors to Klawer can enjoy 4x4 trails, day trips to the surrounding towns, mountain hiking and explore the seasonal Cape Flower Route, or visit the nearby wineries. 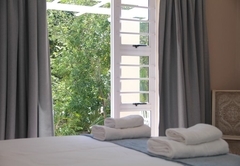 This cosy bedroom has lovely views of the garden and has a private entrance. 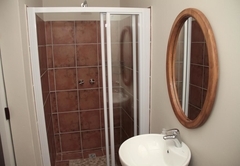 The bedroom contains a queen-size bed and the en-suite bathroom is fitted with a shower. 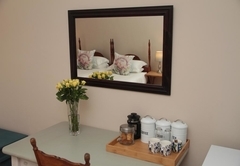 The room also features quality linen, a TV, tea and coffee making facilities, bar fridge. 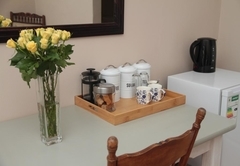 This unit, which also enjoys views of the garden, has a private entrance and is furnished with twin single beds which can be converted into a king-size bed. 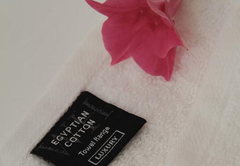 Its en-suite bathroom is fitted with a shower while additional facilities include quality linen. 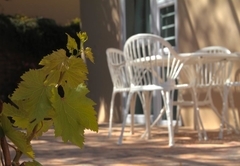 Response timeThe Vine typically responds to requests in 5-10 minutes.